This Bermuda Wall Clock is a new take on the popular round version of this clock. 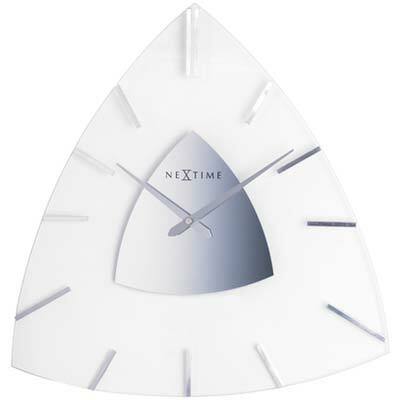 The triangle shaped clock is made of frosted glass, finished with metal detailing. The combination of the two materials creates a modern look that fits into any type of interior.